Choose the best car rental deal in Denmark by using our comparison tool, interactive map and advanced filters. IzziRent, your car rental choice assistant in Denmark. Denmark is the oldest and smallest Scandinavian country in northern Europe. It’s official name is the Kingdom of Denmark, which comprises Denmark and two autonomous countries in the North Atlantic Ocean, the Faroe Islands and Greenland. 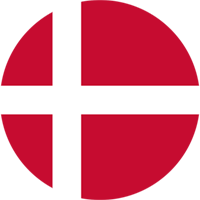 Denmark is home to more than 5,639,719 inhabitants in an area of 42,915.72 sq. kilometres. To drive a car in Denmark you must be at least 17 years old or in possession of a valid driving licence in your country of residence. For car rental companies the required age may be higher. An international driving licence is mandatory if your original driving licence is not in the Roman alphabet. Some rental agencies require an international driving licence if you are from a non-EU country. Denmark does not have toll roads, however there are two bridges which have an expensive toll: The Storebelt Bridge (between the island of Zealand and Fyn) and the Oresund Bridge (the bridge between Denmark and Sweden). Seat belts are mandatory for all passengers when driving. Child seats – Children under 1.30 m in height must use a car seat or a booster seat. Driving a rental car under the influence of drugs or alcohol is strictly prohibited. In the event of insurance claims you will be fully responsible for any damage to the rental car if driving under the influence of drugs or alcohol. Please note that whenever and wherever you drive a rented car in Denmark, the blood alcohol limit is 0 (0.00%), regardless of the country’s laws! Winter tyres and snow chains are not mandatory but are strongly recommended if the weather conditions require them (snow or/and ice).